The San Diego State University Geology department has secured a legacy gift from College of Science and Geology professor, Victor Camp and his wife Jean, making an impact that will be felt for many years to come. Dr. Camp and his wife have strong feelings toward learning and education. For them, it made sense to donate to SDSU because they are part of the community. They feel learning for the sake of learning is important because “the more students learn the more they want to learn,” said Dr. Camp. He is appreciative of his experiences and the chance to share his travel stories with his students. His favorite thing about college was going out in the field, an adventure he now gets to share with his own students. Dr. Camp originally was a music major, however Intro to Geology changed his mind and the path of his future. Dr. Camp’s passion is studying geologic formations in hopes of learning more about how the planet works. Being able to share that information with his students and the geological community through his publications is a great accomplishment. 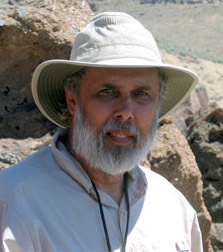 His most recent publication details his works at the Columbia River basalt province. He has also recently produced How Volcanos Work, a website for teachers, which receives approximately 2,000 hits per day. Dr. Camp received his Ph.D. at Washington State University in 1976. He previously worked for the United States Geological Survey, followed by 10 years oversea as an Assistant Professor in West Africa (University of Ibadan) and as a field geologist in Iran and Saudi Arabia. Dr. Camp became an Adjunct Professor at SDSU in 1988, and a full-time lecturer at SDSU in 1993. Dr. Camp plans to eventually retire from SDSU. Before doing so, he and his wife decided to set up a scholarship for College of Science/ Geology. They have designated SDSU as a beneficiary in their trust to help other Geology students find their own way off the beaten path.